Not just cultures, traditions, and languages, but the eating and drinking habits also vary in different parts of India. While daily diets do not differ so much in the same region, the variations are stark between north and south. 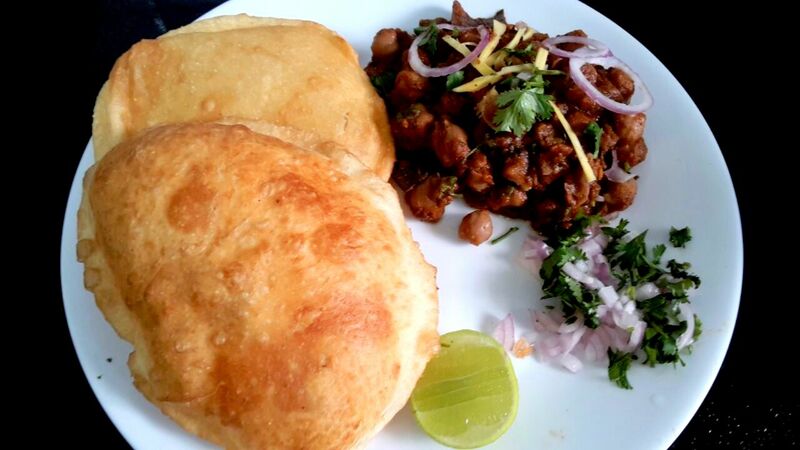 On a typical lazy Sunday, in a quintessential north Indian home, one will likely find plates of chole bhature (spiced chickpeas and fried bread) being ordered for breakfast. Paranthans (stuffed breads) could also be a choice. A nice cup of chai (tea) simmered with spices or even a chilled lassi (buttermilk- either sweet or salty) would go along. This kind of meal is loaded with energy, not to forget carbohydrates, and is enough to send one into a sweet, mid-day slumber. 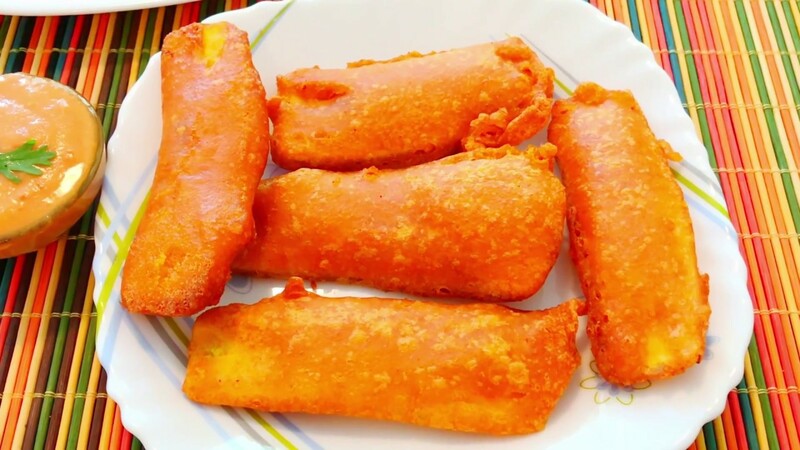 Thousands of kilometres down in south India, the fried or stuffed breads are not what everybody binges on; instead people like to eat raw banana bajji (local name for fritters) that they enjoy alongside a cup of coffee. Breakfast consumption is not what makes for the most prominent distinction between north and south Indian cuisines. It’s the use of flour and rice. “We take lots of rice in the form of dosa (Indian stuffed and savoury crepe), idli (savoury rice cake), idiyappam (rice flour pressed into noodle form and then steamed), appam (type of pancake made with fermented rice batter and coconut milk),” says Nandhini Baskaran, a baker from Tamil Nadu. “Puligore (tamarind rice), coconut rice, bisi bele bath (lentils and rice dish), parotta (layered flatbread made with white flour), puttu (rice portioned in cylindrical form), dry fish curry are other popular dishes,” she says. In north India, people love their wheat breads, which are eaten as a staple and almost with all major meals of the day. Roti and parantha (similar to parotta but made from wheat) are common types. Lentils and preparations of vegetables are also heartily enjoyed. “Wheat or all purpose flour is something that completes the north Indian plate while a south Indian plate is about rava that is rice and thus more digestion friendly also,” says Pallavi Goel, an event management professional looking over marketing and catering in New Delhi. Another factor that differentiates the two cuisines is the use of oil and the type of it. “We prepare most our meals in coconut oil or refined oil. Ghee is rarely used,” says Baskaran. Ghee or clarified butter is sincerely used in preparation of north Indian cuisine. Food in north India is also more oily or buttery as compared to down south and use of butter, both white and yellow that is usually churned fresh at home, is common. 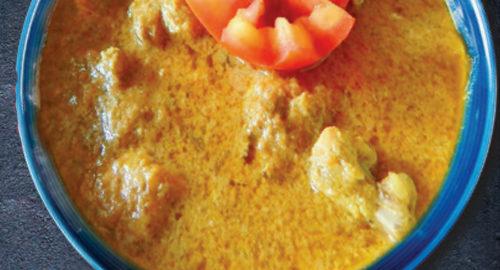 A notable feature about north Indian cuisine is that, it is rather spicy. Although the intensity may vary from home to home, traditionally prepared food demands a dose of grounded spices like garam masala (mixture of hot spices), besides others. In south Indian cuisine, “We use curry leaves and dried red chilli commonly, in all our dishes perhaps, something amiss in the north,” notices Baskaran from her brief stay in New Delhi. “We use a lot of coconut too in every recipe, something that gives a delicate flavour to the dishes,” she says. While curry leaves and dried chilli can be found in both dry and curry dishes, drumsticks, a popular ingredient down south is added to dishes like sambhar (a light consistency lentil preparation). 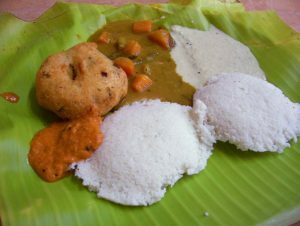 Sambhar is in fact one of the most popular dishes from south India, which is ardently consumed in the north as well, enjoyed alongside idli and dosa. 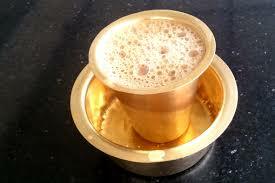 While tea and coffee is readily available in both sides of the country, south Indians prefer filter coffee over any other hot beverage. Prepared using coffee, most likely from estates in south India, the milk based coffee is enjoyed for its thick froth, which is achieved by pouring it from one glass to another by hand as against using a machine. North Indians are also fond of this style, but enjoy their tea a tad bit more. Karupatti coffee or jaggery coffee, however remains confined to south India, mostly because of the palm trees that grow there and from which the karupatti or jaggery is extracted. As for cooler drinks, while north Indians enjoy lassi, south Indians love coconut water. “Jigarthanda (literally cool heart, comprises of china grass, sarsaparilla syrup, chilled milk, cream and lots of sugar), nannari sarbath (syrup based drink), pathaneer (water from palm trees), paruthi paal (cotton seed milk), seem paal (the very first milk of cow after giving birth) ,” are other popular drinks, Baskaran tells us. Unlike coconut water, these are not commonly known or consumed in north. North Indians also have their versions of sarbath or sharbath, which are syrups made from flowers, almonds, lemongrass etc., mixed in water or milk and they make for popular summer drinks.